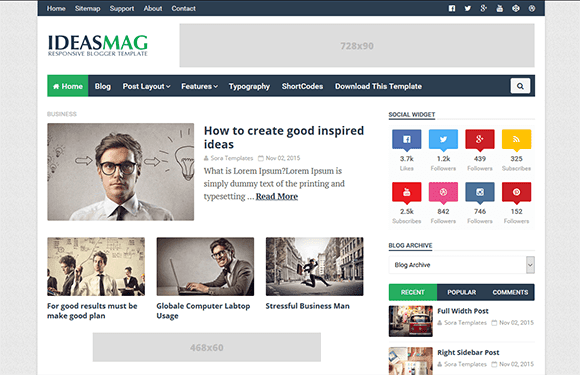 Ideas Mag Blogger Template is a simple Blogger Theme designed both for personal blogs and big news portal websites. We’ve made a huge effort to provide intuitive, robust and beautiful theme allowing to create great websites with less efforts. 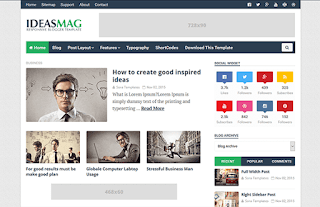 Using Ideas Mag you can build versatile layouts with native Blogger tools only. All you need to create your site is on board and available through Blogger customizer. Make changes to your website and see how they take effect just on the fly! We also provide friendly and results oriented tech support service. If something seems confusing – just drop us a line! I install the theme, it's so simple. I love it. But, i wonder why only 4 post that showed on main page, it can't show more than 4 post? Thanks in Advance.